TOKYO – Asian shares rose on Friday after Wall Street set another record high with prospects for a Federal Reserve rate hike in June all but quashed, while the dollar steadied after losing ground to the euro for the first time this week on downbeat U.S. data. MSCI’s broadest index of Asia-Pacific shares outside Japan rose 0.7 percent with South Korean, Australian and Hong Kong shares posting sizeable gains. The Shanghai Composite Index extended the previous day’s stimulus-hope driven rally and gained 1.2 percent. It was on track for a six percent weekly gain having climbed to seven-year high. Tokyo’s Nikkei was little changed, hovering near a 15-year high. Japanese stocks have been boosted this week by data showing stronger-than-expected first quarter growth. The Bank of Japan concludes its two-day policy meeting later in the session and while the central bank is widely expected to stand pat on policy, with some focus on how it perceived GDP growth in the first quarter. “There is little tension over the Bank of Japan policy meeting. Governor Kuroda and colleagues have sounded comfortable with the current policy stance and are likely to point to the slight upside surprise on Q1 GDP as further vindication,” Sean Callow, senior currency strategist at Westpac in Sydney, wrote in a note. The U.S. economy has shown signs of strength but its recovery has not been as robust as expected. Soft U.S. data released overnight – weaker-than-expected existing home sales, the manufacturing sector and U.S. Mid-Atlantic business activity – appeared to vindicate the Fed officials’ cautious policy stance. U.S. Treasury yields fell in wake of the soft economic indicators, helping nudge the dollar away from recent highs against peers such as like the euro and yen. The euro crept up 0.1 percent to $1.1125 after bouncing 0.2 percent overnight for its first gain in four days. It had hit a three-week low of $1.1062 earlier this week amid Greek debt concerns and was poised to lose 2.8 percent on the week. 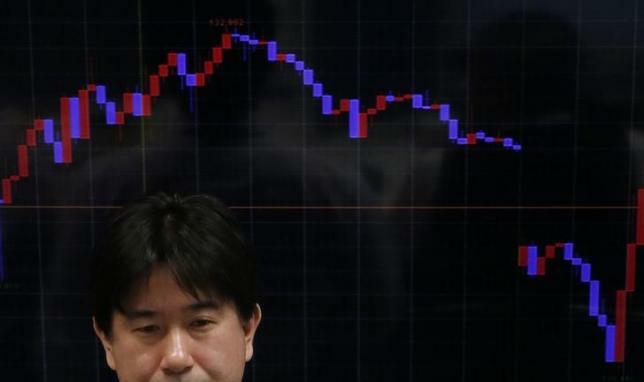 The dollar was little changed at 120.93 yen after losing 0.3 percent overnight to end a five-day winning run. The greenback scaled a two-month peak of 121.49 midweek on bets the currency was ready for a run higher after weeks in the doldrums. Sterling inched up 0.1 percent to $1.5671, on a bullish footing after rallying 0.8 percent the previous day on stronger-than-expected British retail sales.